Are you ready to cut your tax bill as much as possible? Consider these thirteen ways to keep your contributions to Uncle Sam as low as possible. Are you filing under the correct status? It’s usually best for couples to file jointly, but married couples filing separate returns could keep individual incomes below phase-out levels for certain deductions. There are fewer deductions and some surviving deductions have been reduced and restricted. That doesn’t automatically mean you should take the increased standard deduction. Itemizing may still make sense for you. Tax credits are even more powerful than deductions. 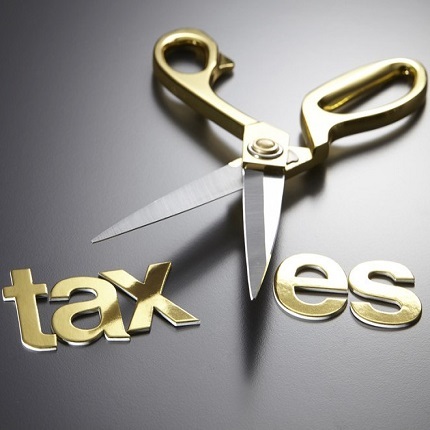 Deductions reduce your taxable income, but tax credits subtract directly from your tax bill. Tax credits can be used whether or not you itemize. Put those precious pre-tax dollars in a 401(k) or traditional IRA and save for retirement while deferring taxes until you are retired (and likely in a lower tax bracket). For tax year 2019, 401(k) contribution limits are $19,000 with a $6,000 catch up for taxpayers aged fifty and above. IRA limits are $6,000 with a $1,000 catch-up. Any time your income goes up – or your tax bracket changes – your withholding needs to change to keep your taxes relatively close to what you owe. We don’t recommend holding out too much just to get a large refund. Why let the government earn interest on your money? Save money by timing certain transactions. For example, IRA contributions for the 2018 tax year can be made until April 15, 2019 – well into the 2019 tax year. Put some money in a state 529 program or other eligible college savings fund, and your money will grow tax-free. A 529 program is funded with after-tax dollars – but, when used for qualified educational expenses, the withdrawals are tax-free, including the earnings. Invest now, save on taxes later. Charitable contributions are one of the few deductions where the allowable percentage increased as part of the new tax law. Greater contributions may make itemizing feasible – and you’ll help others in the process. If you have a high-deductible health care plan, you can contribute to an HSA with pre-tax dollars. Contributions are tax deductible, and withdrawals for qualifying medical expenses are also tax-free. Contribution limits for 2019 are $3,500 individual/$7,000 family, with a $1,000 catch-up if you’re 55 or older. You can take advantage of losing stocks by selling them to offset other capital gains for tax purposes. Eric Bronnenkant, Betterment Head of Tax, explains that through tax-loss harvesting, his investment service is able to capture any existing losses to use against other gains one might have in a non-retirement account in any given year. When you buy mutual funds right before dividends are distributed, your shares drop in value, but your tax bill won’t drop accordingly. Buy mutual funds after the distribution to keep your share price high and get the greatest tax benefits. If bonds are part of your investment strategy, consider buying tax-free bonds. Municipal bonds may be “triple tax-free” because the interest is not only exempt from federal taxes, they’re also exempt from state and local taxes if you live in that state and municipality. Tax legislation can be retroactive, so stay tuned for any developments throughout the year. You may need to change your withholding or tax strategy mid-year. Start running tax scenarios now. You won’t be thinking clearly about alternatives if you start on April 14th.